Students beam as the new name is unveiled. The University of Vermont renamed its medical college to honor an alumnus who has donated a total of $100 million to the school. Dr. Robert Larner, a Burlington native who went on to have a successful medical career in Los Angeles, committed $66 million to his alma mater in his estate, school administrators said Friday at an event outside the Given Medical Building. 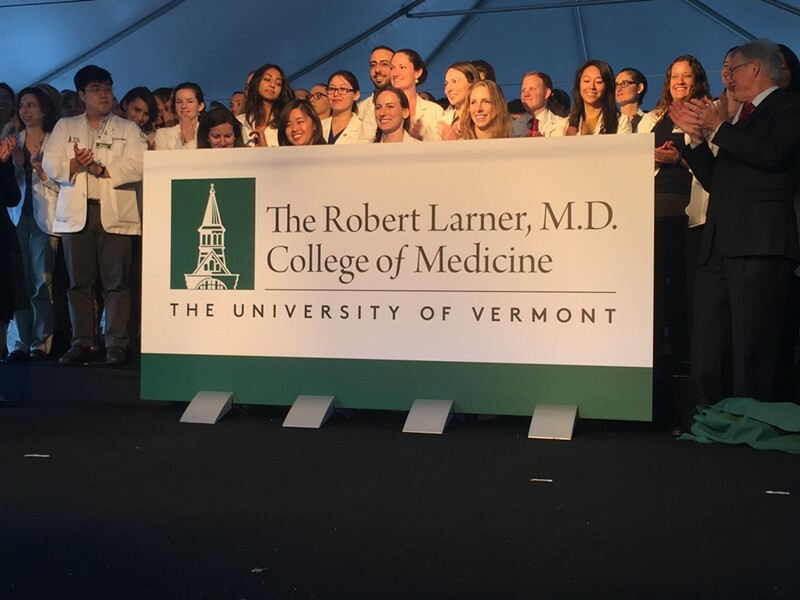 “Let me say that again — I want to be perfectly clear — $100 million in total contributions,” UVM President Tom Sullivan, flanked by medical students in white coats, announced to a standing ovation from a few hundred people who gathered to celebrate the gift. The UVM board of trustees last week approved the name change to the Robert Larner, M.D. College of Medicine at the University of Vermont. Officials live-streamed Friday’s event so that Larner, his wife, Helen, and their family could watch from across the country. UVM officials declared the $66 million to be the largest-ever gift for a public university in New England and said it’s the first instance in the nation of a medical school being named to honor an alumnus donor and physician. Larner, born in 1918 to Russian immigrant parents living in Burlington’s Old North End, gave a gift of $19.7 million in April, which officials at the time touted as the biggest donation ever given to UVM. He’s given a total of $95 million to the university in just the last 11 months, said David Daigle, the chair of UVM’s board of trustees. 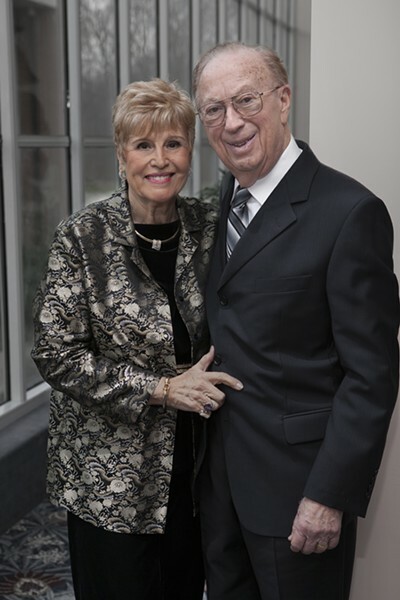 Larner and his wife first donated to the school in 1985, when they created the Larner Endowment and Student Loan Fund with a gift of $50,000. The fund, which provides med school students with low-interest loans, has helped 1,300 students over the years. Larner, the first in his family to go to college, graduated from UVM’s medical school in 1942. Larner’s largesse was not in exchange for school naming rights. Instead, school officials decided on the honor after running out of ways to celebrate the school’s biggest donor. “I’m humbled that the University of Vermont has decided to name the medical college in my honor, but I’m equally grateful for the opportunity to impact the future of medical education and to inspire others to contribute to this exceptional institution which is truly second to none,” Larner said in a statement. In October, UVM renamed its business school the Grossman School of Business after alumnus Steve Grossman donated $20 million.